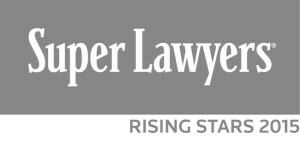 Four Tauler Smith attorneys were recently named to the 2015 Southern California Super Lawyers list of “Rising Stars,” a legal industry recognition only given to 2.5% of all lawyers in Los Angeles. Firm Attorneys Robert Tauler, Gil Peles, Bryan Lazarski and Daniel Forouzan were given the honor. Rising Star recognition is given to attorneys who are either 40 years old or younger or have been in practice for 10 years or less, and have attained high degrees of peer recognition and professional achievement.